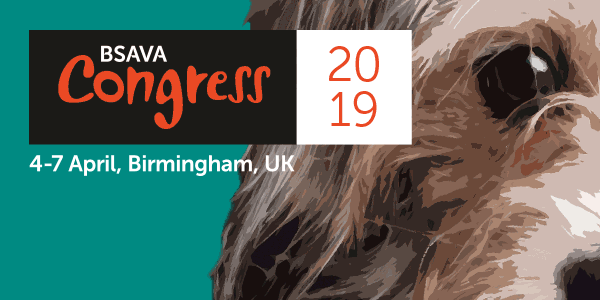 The British Small Animal Veterinary Association (BSAVA) launched an inspiring vision of holistic support for the profession at its annual Congress in Birmingham. Thousands of delegates were encouraged to empower themselves and their teams by thinking more deeply about their careers and personal development, as well as physical and mental health, with activities running throughout the four-day event culminating in non-clinical lecture stream ‘Beyond the Clinics’ and Careers Fair on Sunday. 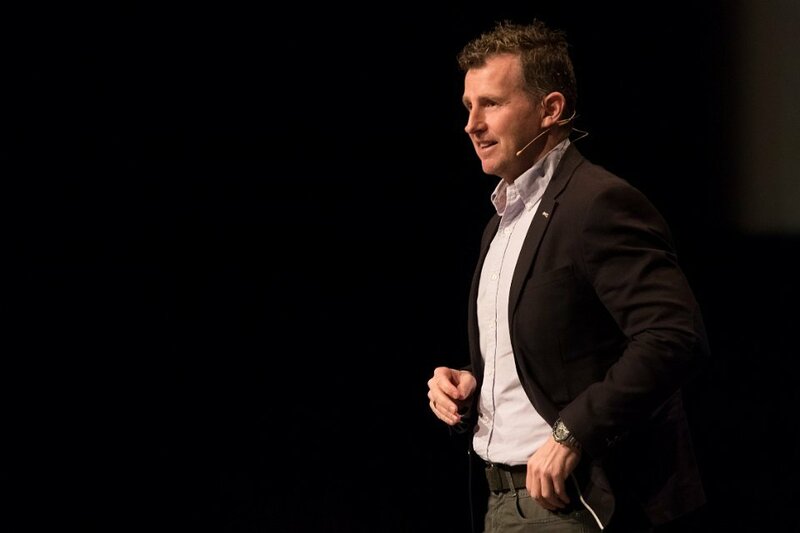 Congress keynote speaker, international rugby referee Nigel Owens MBE, received a standing ovation after an emotional and inspiring address about his struggles and successes both on and off the field, drawing parallels with veterinary professionals by discussing high-pressure decision-making, trusting your judgement and admitting to mistakes. “Sometimes in life you get opportunities when you least expect them, and the best thing you can do is grasp them with both hands,” he said. The illegal puppy trade, workforce issues relating to Brexit and modernising animal licensing and inspection activities formed this year’s ‘Big Issues’ stream, programmed by Adrienne Conroy, BSAVA Head of Policy, which focused on a range of topical issues, rounded off with a panel discussion and audience engagement. The theme was: ‘There is nothing permanent except change: change is constant and inevitable’ and the aim was to help the profession understand and tackle the challenges ahead. The stream focused on areas currently undergoing change and the implications for the profession, while highlighting the impact on the wider societal landscape. BSAVA launched a Professional Mentorship pilot scheme to help tackle the rise of recently qualified graduates leaving the profession. Up to 24 second and third year qualified vets will partner with impartial, experienced and supportive mentors to work through seemingly ‘unsolvable’ professional challenges and unlock their potential. BSAVA’s commitment to science and education is stronger than ever, with Congress delivering almost 50,000 hours of CPD through a diverse programme of more than 560 lectures from the world’s leading veterinary speakers, plus range of practical, wet lab, small group and ‘Breakfast with a Specialist’ sessions that has expanded to enhance the CPD experience and to meet rising demand. Congress saw the launch of the BSAVA library - www.bsavalibrary.com - which makes published content available to the whole veterinary profession (it is not just a member benefit). This includes BSAVA manual chapters, BSAVA Small Animal Formulary, BSAVA Guide to Procedures in Small Animal Practice, Companion articles, Congress lectures and much more. BSAVA President John Chitty reflected on an “absolutely brilliant” Congress, in particular the organisation’s holistic vision of support being successfully realised. “Congress continues to be run by the profession, for the profession and I would like to thank everyone who has been involved in making this happen, it is truly inspiring,” he said. “Our goal is that everyone walks out of Congress feeling better about themselves having had a good time - not just finding out new things, gathering information and learning, but having those personal interactions as a profession - meeting people, celebrating veterinary achievements, putting a smile on our faces and going back to work with new knowledge as well, that’s going to make you feel good. Congress’s exhibitor village was more global than ever, with ground-breaking ideas and pioneering technology to help shape the future of veterinary science. At a time of challenge and change for the profession, this year’s showcase was the beating heart of innovation, with the launch of inspiring new companies, products and services from around the world, and an opportunity to engage face-to-face with hundreds of industry partners. Evidence-based scientific endeavour remains the cornerstone of BSAVA’s provision, and the organisation moved to an eye-catching new double-decked stand at the centre of the exhibition floor to engage with delegates - including showcasing the new library and the variety of content that comes with membership - and selling the full range of BSAVA publications including around 40 manuals. It was a time to recognise veterinary excellence, with the BSAVA Awards honouring the profession’s outstanding individuals who help to advance scientific knowledge, develop new techniques and constantly raise the standards of veterinary science to improve animal welfare. The new Bourgelat Stream with this year’s winner Clarence Rawlings was hugely popular. BSAVA is committed to embedding the drive towards greater sustainability into its ethos, and worked on several projects in the past year, some implemented at Congress 2017 and some new for 2018. These include redistributing excess lunch bags to local homeless charities, donating surplus stationery to underfunded schools, reformatting print materials so they are 100% recyclable, investing in technology that offers a sustainable alternative and the introduction of a reusable UK-made sports bottle for delegates in an aim to move away from single use plastics. BSAVA became the first signature for the ‘Learning Without Landfill’ pledge, aiming to reduce the organisation’s and Congress’s carbon footprint. Congress is an important event in the social calendar, giving professionals the opportunity to meet old friends and new, network and let their hair down with an exciting agenda throughout the four-day event, including a new movie night, V18 indoor music festival and banquet. Head of Congress, Angharad Belcher said: “Congress continues to evolve with the sole aim of providing unrivalled opportunities for the whole profession to be inspired, challenging status quo and demonstrating that we are one community whose impact on animal and human health is immense.